A FINE GAEL TD who says he was told he can no longer be a minister of the Eucharist by his parish priest says he has spoken out because he doesn’t want the same thing to happen to anybody else. The Sunday Independent revealed yesterday that Derek Keating has been told not to fulfil his duties as a minister of the Eucharist at St Mary’s Parish in Lucan in the wake of his support for the Protection of Life during Pregnancy Bill last July. Speaking to Miriam O’Callaghan on RTÉ’s John Murray Show this morning, Keating said that he is not happy at being asked to stand aside because he supported the legislation. Keating detailed how he was told on the Saturday before last by local parish priest Father Peter Reilly that he should stand aside. He said that this was followed up by a letter asking him to stand aside permanently and claimed there was no discussion prior to this decision being made. Attempts to reach Fr Peter O’Reilly directly this morning were unsuccessful at the time of publication. Keating said that it would be “obviously very difficult” to return to the church now in light of what has happened but said he intends to follow-up the matter with the area moderator and area bishop. Keating also said that a parish priest in Palmerstown had contacted him to say he could not use the parish centre for constituency clinics any more because of unpaid rent. “I believe this is a smokescreen, I have made several attempts to pay that money,” the TD said saying that the church would not tell him how much he owes though he suspects it is a “paltry” amount. Keating said that the legislation he voted on “was about protecting the unborn” and continued: “I do think there is a time when you have to separate the role of church and State,” insisting he is “very much pro-life. He also claimed he has received a text message “from a fellow minister of the Eucharist, accusing of being a Nazi, accusing me of being a murderer”. Despite this, Keating insisted this morning that he loves his church saying he has “great hope” in the message being communicated by the new pontiff Pope Francis in recent weeks. 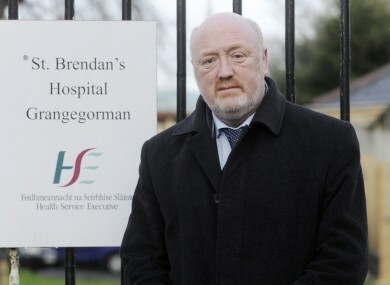 Email “FG TD who was told not to help with communion insists he's 'very much pro-life' ”. Feedback on “FG TD who was told not to help with communion insists he's 'very much pro-life' ”.